You do amazing work, and it is a lot of fun to look at all the courts you have replicated. 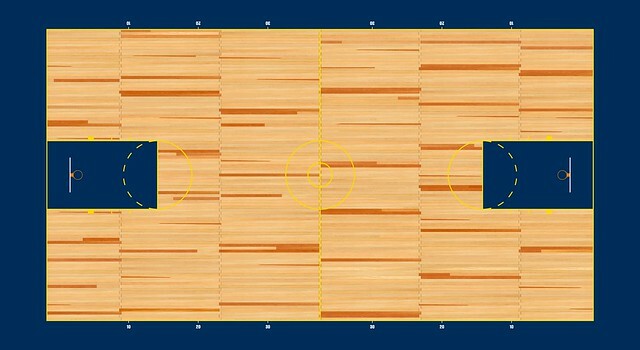 I am writing to you because I have been working on an exact replica of the Seattle Center Coliseum court from the early 90's for a coffee table top. It is hard finding decent close up shots of this court. 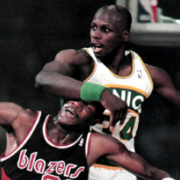 I AM CURIOUS WHERE YOU GOT PICS IN ORDER TO REPLICATE YOUR SEATTLE CENTER COLISEUM COURT? I would like to find more usable pics. So if you know of some please let me know. 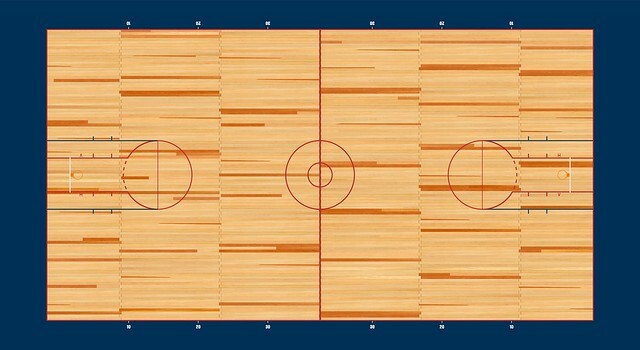 The court is spot on in so many ways, but I have noticed some variances from your court and the real one. I have spent so much time on this it is ridiculous, so please don't think I am putting down your work. In fact it is quite the opposite. I am writing more out of curiosity and that I respect your work. The curves on the lines of the basketball at center court are different. Seen partially in pics aboves but in various youtube clips. Lines on basketball are sharp, almost cartoonish and curve out to end between the "E" and "U" in Coliseum, not lined up with the "S" in Coliseum as you have it. Also the "R" in Center is different than the rest of the font. I made this same mistake. The "R" is more similiar to the one in this sentence. See pics above. The leg of it kicks out in a 45 degree angle. I hope to one day get this project complete. It has been an on again - off again project for the last few years. I spend hours fine tuning certain aspects then find better pics and have to tweak it. I am also not a tenth as talented as you graphic artistically, but I am a perfectionist, so I work on things until it is just right...even if it takes hours upon hours. I am also very detail oriented. That is why I brought these things to your attention. My hope is that with your talent and the details I brought forth, the court can be correct as possible. I thank you for your time, and look forward to hearing back from you soon. I can also send what I have so far for your opinion on stuff. Hi, Thanks! I'm already working on it. As you said, it is hard to find decent close up shots of this court, but i will try my best. Kodrinsky, got another one for you. Looking at the Memphis Grizzlies pages (5-6) in the NBA Court Database on Flickr, I don't see a FedExForum (2014/2015). I also took a look through this thread and couldn't find a Grizzlies 2014-15 court either. Is it on another page in the Flickr album, folded into another Grizzlies court time-frame perhaps, or maybe not done and/or released? As always, thanks in advance for the consideration. 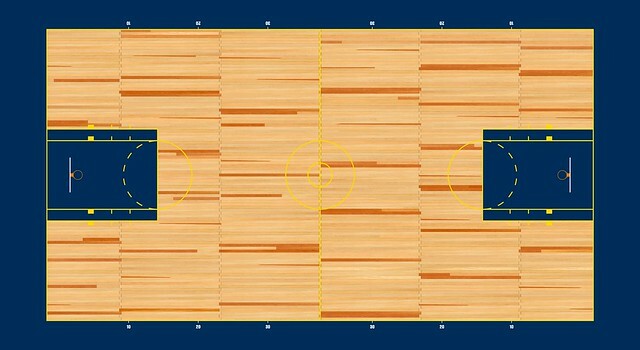 Kodrinsky, I just want to say thank you so much for this latest treasure trove of 2016-17 NBA courts. Your dedication to your craft is phenomenal, and making your work available to the public is sincerely appreciated. Much respect (and I hope you've been able to catch some of the playoffs wherever you are)! Came out nicely. Well done. Send me your work and i will give you some feedback and also some tips.